What a lovely home away from home. Everything you could possibly need and want has been thought out and provided for. 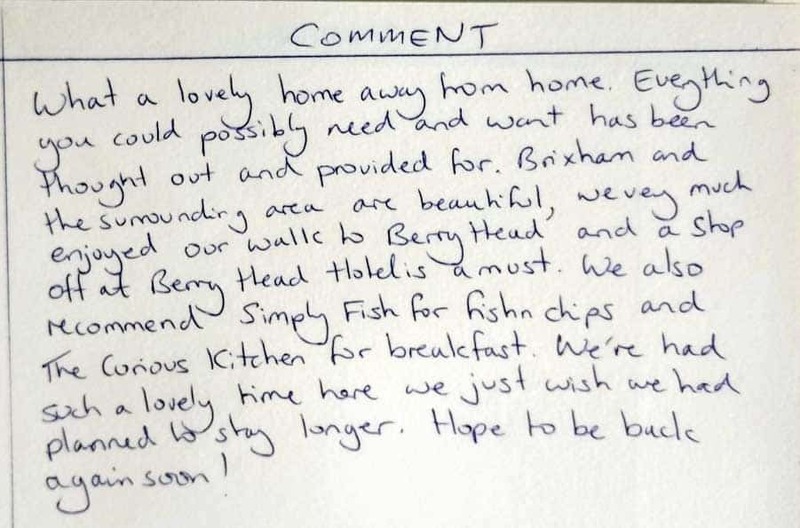 Brixham and the surrounding area are beautiful, we very much enjoyed our walks to Berry Head and a stop off at Berry Head hotel is a must. 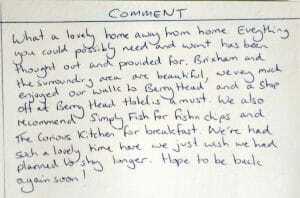 We also recommend Simply Fish for fish n chips and The Curious Kitchen for breakfast. We’ve had such a lovely time here we just wish we had planned to stay longer. Hope to be back again soon!